MikkiMausu, I love your Duffy's pose! The colors make the bib look kind of like a cool Kingdom Hearts-inspired tunic to me! @Ilovegreataur Did you ever hear back from the real estate agent about the pre-Duffy Disney Bears?? 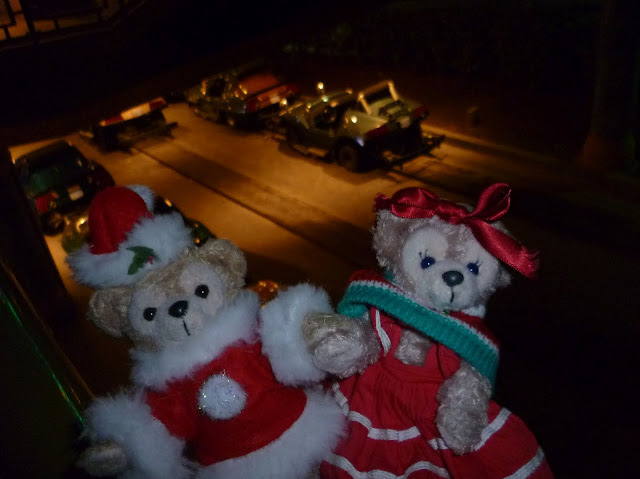 My Duffy (with a little help from Shellie May) entered the Teddy Olympics this year. This is our second time participating. I'm trying desperately to upload the photos, but the site keeps rejecting the file size (even though I shrunk the photos and saved them for the web), but it's refusing to cooperate. Okay, let's see if I can get this to work! 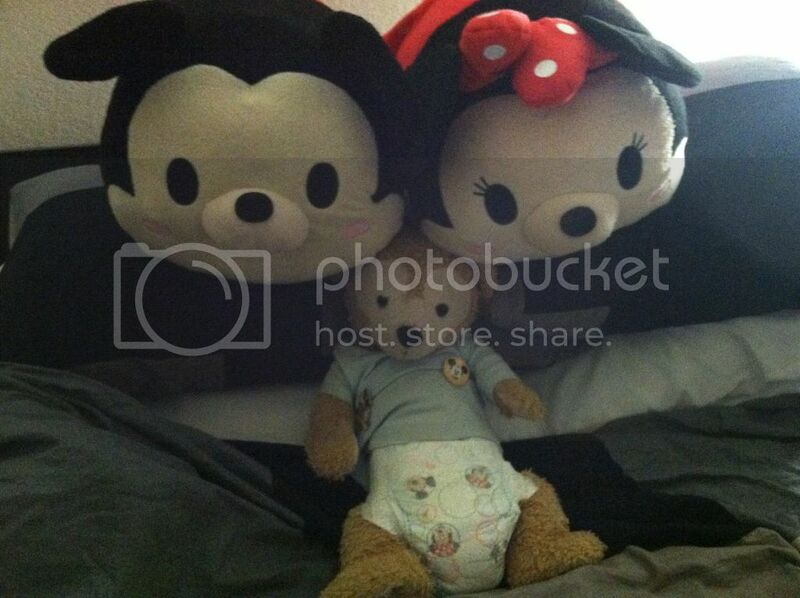 This has been Duffy's most popular Instagram photo to date with 80+ likes! With the Disney Infinity 2.0 Tinker Bell figure. Nope. No response to the crazy lady inquiring about stuffed bears. Can you upload via PhotoBucket or something like it, like you would for MiceChat? or maybe a different format (.gif instead of .jpg)? I got a package today from a friend who picked up some stuff for me in Tokyo. She was supposed to send it to me in December when she was back in the States, but then she got sick. So then she was going to send it in March when she was back, but her travel plans got messed up so that didn't happen. Finally she was back in the States this month and got the package sent to me. All I knew was she picked me up a Gelatoni badge and a badge of Dear Danny the lamb. I got a full full size Gelatoni (a gift from my friend's mom because she didn't think it was fair I only had a small one, so she got him for me and my friend got me his Easter Fair outfit! How cool is that?) Plus she got me a Gelatoni Badge and Duffy strap from this yea'r Sweet Duffy event. I also got a cute little drawstring bag from New Year's with Mickey & Minnie daurma dolls on one side and New Year's stuff with Mickey, Minnie, Goofy, Donald & Dear Danny on the other side. It is awesome to have good friends who are generous. Great photos, iDuffyBear! I love the "hugs" outfit and you did some great poses. My bears don't woogle but I find your Duffy's woogling particularly endearing because of the perfect match of costume and blanket. What a great package, Aimster! Gelatoni is so growing on me, and the Sweet Duffy badge and strap are wonderful! Looking back I see how blessed I've been to take so many trips to Disneyland and to have so many wonderful bears (and people) to share it with. I've only been to Disneyland twice, both in the 80s, but I loved it and have been wanting to go back. One of these days I'll take a week and do it. I have been working temp and just got a new direct hire job so I've been living pretty conservatively this year. Luckily, da bears are still playing the back catalog of video games and finishing up watching my DVDs so they have not complained. I know I'm getting two new Build-A-Bear siblings for them at Christmas. They have partially relocated from their original locations and are living at my sister's house right now. I've also adopted 2 Build-A-Bears for HER who are living at MY house now. We are such peas in a pod (my sister and me). I love your photos Eeee-va! And what a great post DuffyDaisuki; I think that's all something we need to remember more often. I'm sorry to have to ask this again, but how do you upload photos again? I uploaded PJ pics without a problem, then my Teddy Olympics pics gave me some grief, now I can't get my rainy day picures up at all. Awe yes it was the 60th a couple days ago but I had to show family from Mexico around town. It was my first time when I went a few weeks ago. I know some who was there opening day. Eeee-va, thank you for sharing the pictures! My Duffy posing with the Mickey and Minnie Tsum Tsum. OMGoodness MikkiMaussu, those tsum tsums are SO BIG! 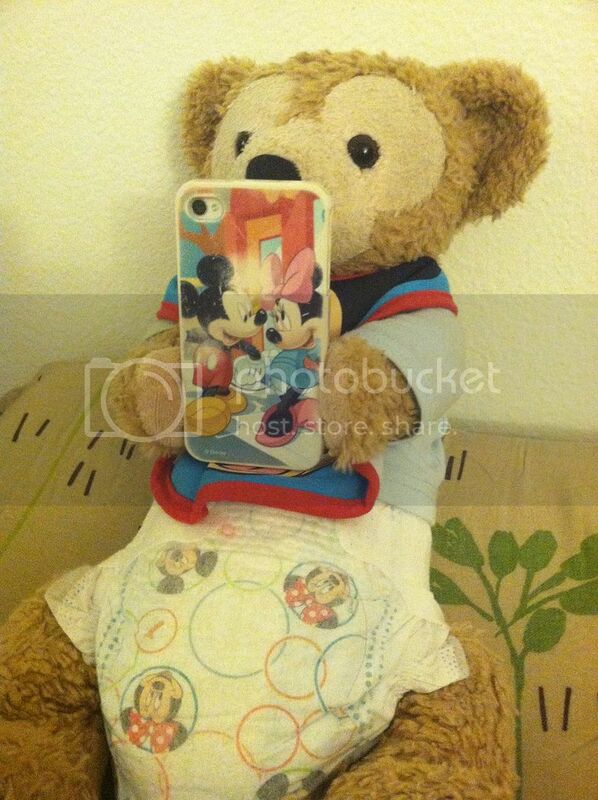 iDuffyBear, it looks like you uploaded some to MiceChat earlier? You can click on the picture icon above the quick reply (I think it has a tree on it) and then click on "From Computer" and upload a picture. I think it might not upload if it's too big. The other way is to upload to another website (Photobucket, Picasa, etc.) and then click on the picture icon and paste in the image's URL. Celebrating Disneyland's 60th Birthday in Style! Get off your Duff sooo cute I've been wanting that build a bear outfit too it's cute. So adorable!!!!! !Is Shellie May wearing a skirt?